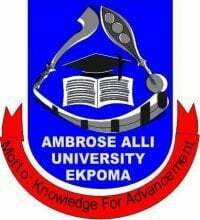 The management of the Ambrose Alli University, Ekpoma has released the school fees schedule for the 2017/2018 academic session. See also: AAU Academic Calendar for 2017/2018 Academic Session. pls when z d closing date for acceptance fees. Please is the fees for second year Economic still same as first year or it is lower. Comment Text*is the school fees per year or semester? Pls have they brought a deadline for school fees? ?